In the current economic market, getting a job is a difficult feat. Job searching can involve what seems like endless emails, rewritten resumes and interview after interview, all in search of one’s dream job. However, for some, the search for employment can be even more challenging. If you’re a person living with a disability, questions may come up that another job seeker may not have to answer. You may wonder how a place of employment would make accommodations for you, or if there are certain companies that focus on helping people with disabilities find employment. This guide has that information and more. The Americans with Disabilities Act, or ADA, is a civil rights law. Enacted in 1990, the law prohibits discrimination against people with disabilities in the workplace, at school, in transportation and in all public and private spaces that are open to the general public. The law was established to ensure that people with disabilities have the same rights as everyone else. You can learn more about the ADA by visiting any of the following Internet resources. The ADA National Network also has an entire section of their website that focuses on the rights of a person with a disability in the workplace. They discuss a person’s rights when returning from medical leave and the documentation that is required, ways to ensure reasonable accommodation is met, resources for mental health as well as physical disabilities, and plenty of other information. What Does a "Record of" Disability Mean? If you are looking for local support in addressing an issue with an employer, have a complaint about a job interview or just need a question answered, the ADA National Network may have a regional center near you. There are 10 regional centers across the United States, in Massachusetts, New York, Maryland, Georgia, Illinois, Texas, Missouri, Colorado, California and Washington. Their phone numbers and individual websites are available here. Making a reasonable accommodation for a person with a disability is one important part of workplace safety and health for a person with a disability. The Nolo Network website offers a legal definition of what a reasonable accommodation is and steps to negotiate an accommodation at your workplace. The Equal Employment Opportunity Commission is a government organization that is responsible for ensuring that everyone is treated equally in the workplace. Here, you’ll find resources regarding disability discrimination, in which a qualified candidate is treated unfairly because of their disability. There are certain specific guidelines for people older than 18 years of age who receive Social Security Disability Benefits, or SSI. People who receive SSI have an employment payment cap; and if they make more than that amount, risk losing their benefits. This 10 page brochure discusses how working affects a person’s SSI benefits. This U.S. Department of Labor web page offers information on when and how to disclose your disability to an employer. After a person with a disability completes high school or reaches the age of 18 years old, there are “transitional programs” that can teach a person with a physical or intellectual disability life skills and offer job training to help them secure employment. Below, you will find examples of transitional programs. The U.S. Department of Education has information on transition and post-secondary programs for students with intellectual disabilities on their website, including types of projects and information for families and community members. Acacia Academy in Illinois offers basic information on a transitional program and what a person with a disability could expect from such a program. The Stavros Center in Massachusetts outlines how to determine what sort of future a person with a disability hopes to have, and steps to achieve that future through transitional programming. The S.T.E.P. program, or School to Employment Program, offers real-life work experience for young adults with disabilities transitioning from a school environment to the workplace. The organization has offices in South Carolina, New Jersey and Pennsylvania. This 2016 article from The Atlantic offers opinions and information on how to transition a student with a disability into the workforce. Disability Link has plenty of information on their website on how to get a job as a person with a disability, including specific resources for youth, assistive resources, as well as meetings and events. Kaposia, a nonprofit organization, with several centers throughout Minnesota, offers customized employment services for people with disabilities. Services include career consulting, one-on-one job search assistance and continued resources once you have found employment. Getting Hired is a job board specifically for people with disabilities who are looking for employment. Prospective job seekers can search for a job by keyword, location or search for a position in a specific industry, such as education, healthcare or legal work. Due to your disability you may feel you're not capable of doing the job but you must believe in yourself. If you don't project that belief yourself, nobody else will believe it. The Employer Assistance and Resource Network on Disability Inclusion, or EARN, has a page of resources on their website to help job seekers with disabilities find work. Ability Jobs is a job board that posts employment opportunities specifically for those with disabilities. The Sierra Group’s Recruit Disability Page has a variety of resources for people with disabilities who are seeking employment. 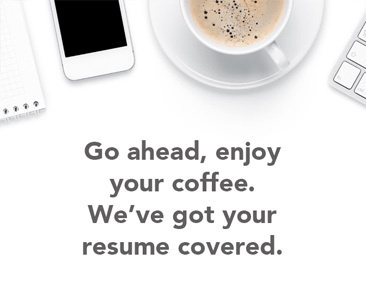 Their website offers job searches based on a keyword or certain location, as well as featured jobs, salary information and a way to post your resume. Ability Links, an arm of the Marionjoy Rehabilitation Hospital in Illinois, offers a job board where a person can search for a job or download a webinar on a wide range of topics, such as getting your resume noticed by an employer. The Disabled Person job board offers job searching based on industry or location as well as a free resume template. Enable America is a nonprofit organization that works to help people with disabilities find employment. Their website has career resources, government information and a way to register with their job searching organization, Able Force. The U.S Office of Personnel Management actively recruits people with disabilities. Their website outlines how to apply as well as job accommodation resources. The National Telecommuting Institute offers employment resources and opportunities to people with disabilities who would like to work from home in industries such as billing or technology services. Their services also include information for vocational counselors working with people with disabilities. This AARP article offers seven tips for job searching as a person with a disability, including finding a mentor and practicing your interview skills. This Huffington Post article offers 10 tips for job hunting as a person with a disability, such as taking advantage of vocational programs and reaching out to local government representatives. Like any job interview focus on what you can do instead of what you can't do and only discuss what's necessary about your ability. If you have to confront it then make sure you let the interviewer know it doesn't affect your ability to do the job. This brochure from Milt, Wright and Associates offers tips and information about disclosing a disability to an employer. This American Foundation for the Blind website discusses how to talk about living with blindness or low vision with a potential employer, and tools for searching for a job as a person who is blind or has low vision. In hiring a person with a disability, employers may wonder what sort of accommodations they are expected to provide, how medical leave works, as well as what is constituted as a disability. Here are several resources to get an employer familiar with the rules and laws that outline employment rights for a person with a disability. The ADA offers a wide range of services to employers and applicants, including a hot-line to answer questions, training opportunities such as webinars and videos, research from academic and medical journals, and more. This web page highlights some of the resources available to employers. This eight-minute video produced by the ADA National Network offers advice and information about employing people with disabilities. This study discusses the best practices in creating an environment for reasonable accommodation within the workplace, as well as some of the reasons employees are reluctant to request accommodations for their disability. The Human Resources department at your office or company will likely be responsible for ensuring that a person with a disability is treated fairly under the Americans With Disabilities Act. This website offers tips for your HR department, including articles, a glossary and information on working with people with certain disabilities. The website for the New England chapter of the ADA offers free courses for employers on providing accommodations, expressing concerns about safety in the workplace, how to discuss confidentiality in terms of medical information, and more. People first language is an important part of addressing those with disabilities, whether you are in the workplace or not. Using people first language, one would say “a person with cerebral palsy” to focus on the fact that they're a person with their own interests and desires first, and that the disability comes second. A person who uses a wheelchair isn’t described as “having an issue walking,” they say that they need or use a wheelchair. Here are some resources where you can learn more about people first language. The Arc Media Center, which focuses on people with physical and intellectual disabilities, has a good overview of people first language, legal cases surrounding its use and people first language in popular culture. The Americans With Disabilities National Network has an informative article which offers guidelines on how to write about a person with a disability, including everything from how to emphasize abilities instead of limitations and how to present people with disabilities in a balanced way. In the digital age more and more social groups now connect online with an abundance of advice and support between people. These social media, forum groups and organizations will provide plenty of support on a wide array of career disability issues. The Working With a Disability Facebook group is a place for people to discuss accessibility and job searching. The SSDI~SSI Disability Support Group on Facebook offers support and information on applying for Social Security disability benefits. Job For All Disabled is a Facebook group that posts employment opportunities for people with disabilities. The Disability subreddit group provides ongoing support, advice and tips ranging from the workplace, the law and job recommendations among many other aspects of living with a disability. Step Ahead Staffing is a Facebook job board that offers jobs in certain areas for people with disabilities. Possible job fields include computer science, mathematics and human resources. Dream College Disability provide a comprehensive list of student campus clubs and organizations plus national organizations with campus based groups. The Disability Employment Project stems from a $1,000 grant from the Chicago Community Trust, and works to break barriers to employment for people with disabilities. There are several podcasts about living and working with a disability. Here are a few worth checking out. The Job Accommodation Network has a list of podcasts worth listening to. They include topics such as reasonable accommodations, accessibility and tips for Human Resources departments. The Accessible Stall is run by two friends, Kyle Khachadurian and Emily Ladau. Kyle and Emily have different disabilities and levels of mobility. Their podcast discusses living with a disability and debates issues that are important to people with disabilities. The BBC News program Ouch: Disability Talk discusses life with a disability and issues that are important to people with disabilities. Their interviews touch on everything from being disabled and dating to life with a mental health disability while imprisoned. This website was rated in the top one percent of disability focused blogs by Equality Time, a U.K. organization that focuses on inclusion for all people. Think Inclusive has guest bloggers that offer a variety of information on living with a disability, including autism and physical disabilities. The Thinking Person’s Guide to Autism offers autism news, resources and information for people with autism, parents of children with autism and professionals. This blog, called My Disability Blog, focuses on Social Security benefits, information and the latest news on SSI for people with disabilities. Same Difference is a blog run by a person with a physical disability. The blogger offers information, resources for parents, a list of disabilities represented in popular culture, as well as a forum to ask questions. Reclamation Press is a publishing house that publishes works by people living with disabilities. Based in San Francisco, the company, an offshoot of Independent Arts and Media, publishes fiction and nonfiction works by people with different types of disabilities, such as “The Kinda Fella I Am” by Raymond Luczak, which focuses on the disabled male queer experience. Disabled Writers is a website that focuses on connecting editors to writers with disabilities and journalists with disabilities, as well as a place for journalists to connect with people who are disabled. The website hopes to connect editors with writers with disabilities who are specifically looking to become journalists. It also connects journalists to a variety of people with disabilities who can serve as sources on different topics, such as physicians, artists, attorneys and social workers. Living Well with a Hidden Disability, written by social worker Stacy Taylor and Dr. Robert Epstein, focuses on what life is like for those living with a chronic illness and other “hidden” disabilities. Work and Disability, written by Edna Mora Szymanski and now in its third edition. It offers strategies for finding work as a person with a disability as well as discussing issues that may come up in the employment search or interview process. Laughing at My Nightmare, by Shane Mercaw, is a memoir about life with a disability. Mercaw has spinal muscular atrophy, and his book takes the reader into his life. Plenty of realistic examples of employment challenges throughout makes this book by Barbara Bissonnette a must read for any persons with Asperger's Syndrome.